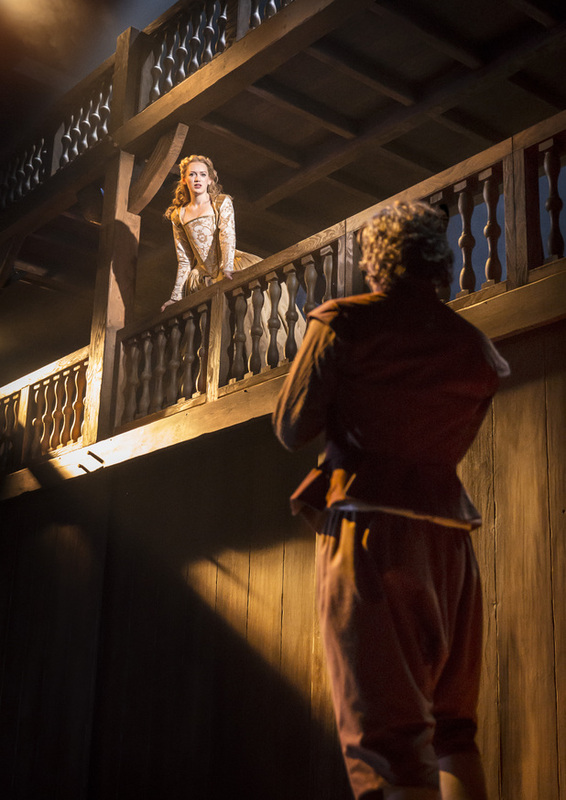 Based upon the much-loved 1998 movie, Lee Hall’s stage adaptation of Shakespeare in Love follows Marc Norman and Tom Stoppard’s screenplay relatively faithfully. 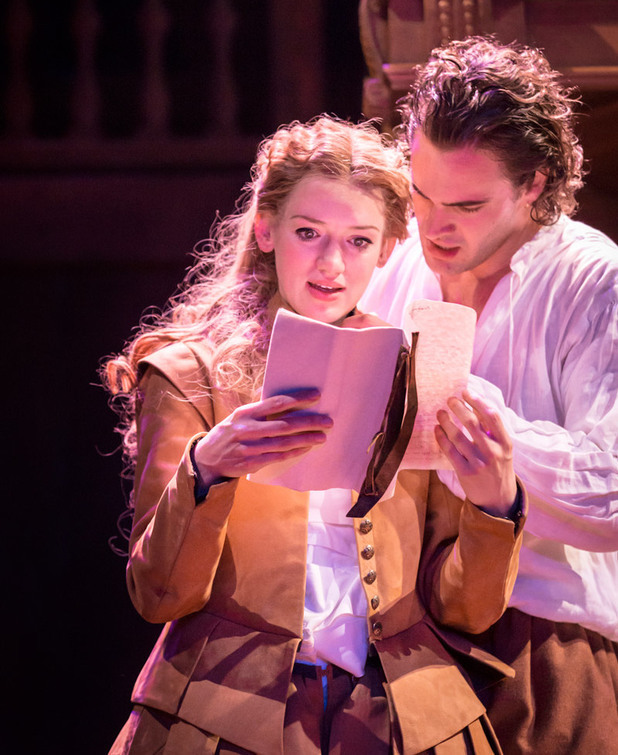 It’s 1593 and our penniless hero Will (Tom Bateman), suffering from writer’s block, has sold his latest (as yet unwritten) work Romeo and Ethel the Pirate’s Daughter to both Philip Henslow (Paul Chahidi) and Richard Burbage (David Ganly). Desperately seeking his muse of fire or muse of anything at all if it gets the play written, into his world and his heart comes Viola de Lesseps (Lucy Briggs-Owen) a young woman entranced by the theatre but prevented from performing by the fact that she’s a woman. Dressed as Thomas Kent she wins the part of Romeo and the heart of Will. But a life together can never be as the aristocratic Viola is promised to the pompous Lord Wessex (Alistair Petrie). 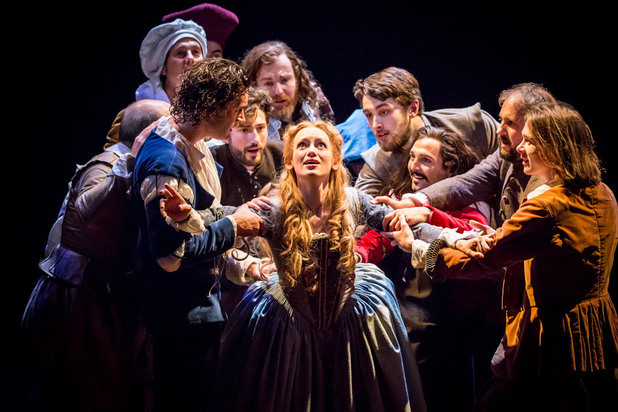 There is a massive ensemble cast of actor/musicians who have no doubt been employed to provide life and colour to the production but the stage is at times a cluttered muddle of too much going on for no apparent reason. The actor/musicians however do come into their own in the musical sequences which are beautiful and both evocative and atmospheric. Running at 2 hrs 40 mins at the preview showing I attended, the piece is inexplicably almost half an hour longer than the film from which it is adapted and it needs drastic trimming. Just when you think the piece is coming to an end it goes on…and on…and on to the point where you are willing the curtain to fall. 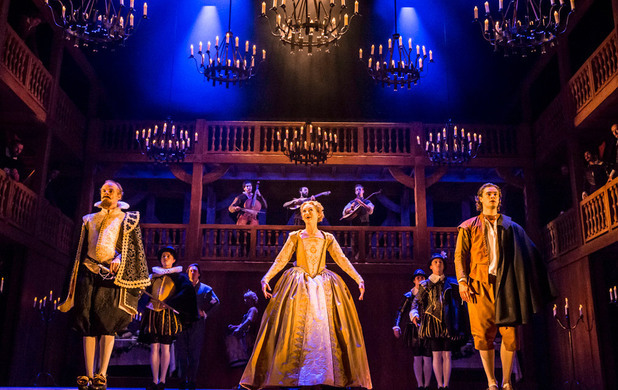 Beautiful to look at and sufficiently entertaining – it is an enjoyable trip to the theatre but the frustrating thing is it could have been oh so much more – it’s all just a bit too nice and safe and inoffensive.